In a previous post, I described a variety of search engines beyond Google. After some more time spent using them and after improvements on some of the sites, here's a quick update using one I kind of like, Searchme.com. (Move the little blue slider to see the other sites. 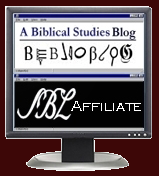 Comments after comparing results on a search for "accordance bibleworks logos." Searchme Lite is, as you may guess, a lite version of Searchme that suggests categories as you begin typing your search. As much as I like Searchme, it turns out that your stacks are stored in a Flash cache on your computer, and if you clear your cache... I discovered the issue the wrong way. They report they are working on fixing this problem. Viewzi has added additional views. You now can choose between these views: Web Screenshot (using Yahoo results), Simple Text (using Alexa, Yahoo, Google), Power Grid (using Yahoo, Google), Google Timeline (uses Google and charts by recency), Site Information, 4 Sources (using Ask, Yahoo, Google, MSN), a bunch of photo views, and a number of others oriented to searches for books, music, etc. I am also finding uses for the Firefox plugin, Ubiquity, I described in the previous post. There are some neat things you can do by highlighting text and then activating Ubiquity. Another option I'm using is the Hyperwords addon for Firefox which works via mouse rightclicking. BONUS: With two teenage daughters, we pretty much had to go with an unlimited text messaging plan. If you are not paying for each text message, you really ought to check out the Google SMS service. 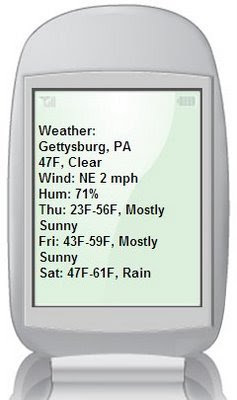 It is a fantastic way to have weather, movie times, directions, definitions, translations, price checks, etc. available to you on your phone.